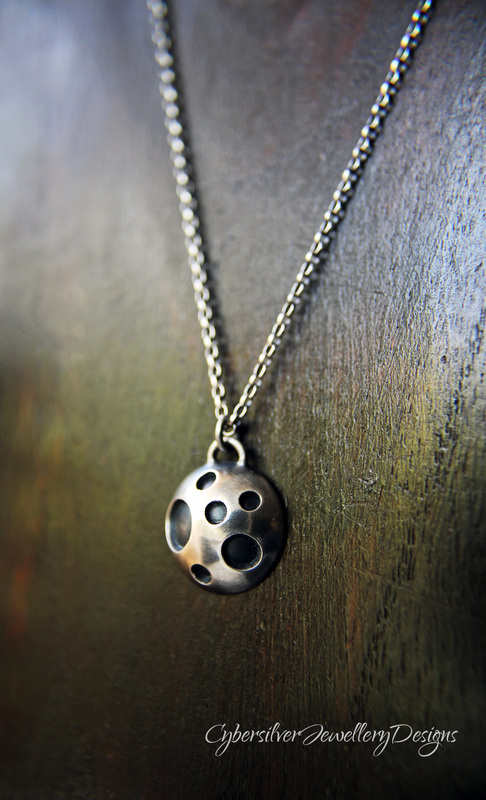 This pretty crater full moon pendant is handmade from thick sterling silver. 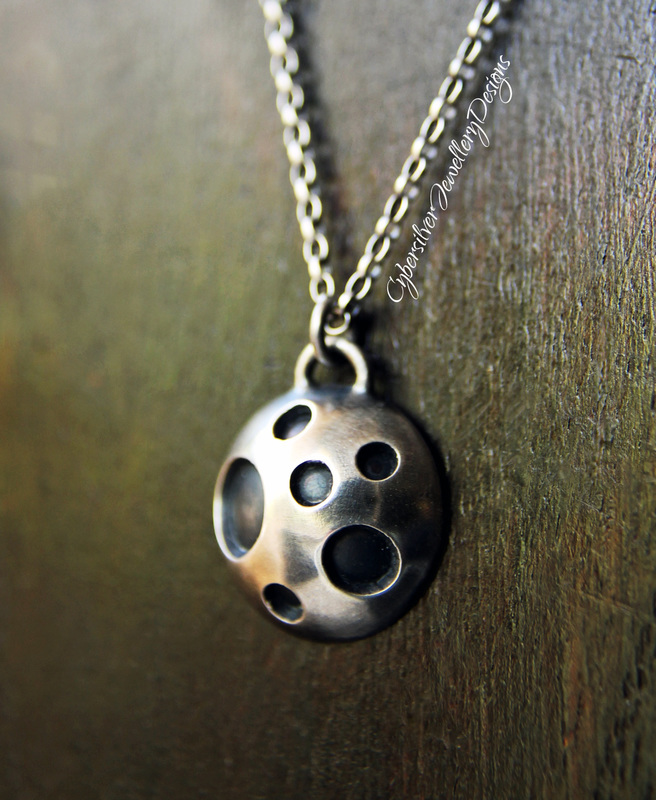 The silver has been oxidised in the craters to give a lovely contrast. 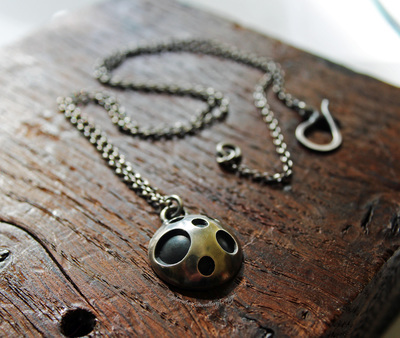 The sterling silver chain has been oxidised to match and is finished with a hand-made silver hook.